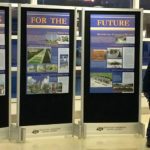 Learn about the National Mall and the National Mall Coalition through these video presentations. Why were the Washington Monument grounds never completed? Where did the idea for the Monument come from? Take a tour through the past with this brief history.